Yay! It’s almost the summer holidays!! I for one, simply cannot wait! No more school rush and juggling levels from afar. Instead we have ahead some lazy mornings and late nights, extra swimming and hopefully some beach days and maybe a holiday. I realise that with those comes a few challenges with levels soaring and plunging as the routines change and activities differ, but I am determined that this year will be different and from this end of term, the summer hols are looking brilliant! Our August meeting of GT1 will be in Horsham Park due to works at the Phoenix Club. We will meet in the play park and it will be weather dependent, so please keep an eye on our Facebook page for updates. We also have a FAMILY PICNIC! 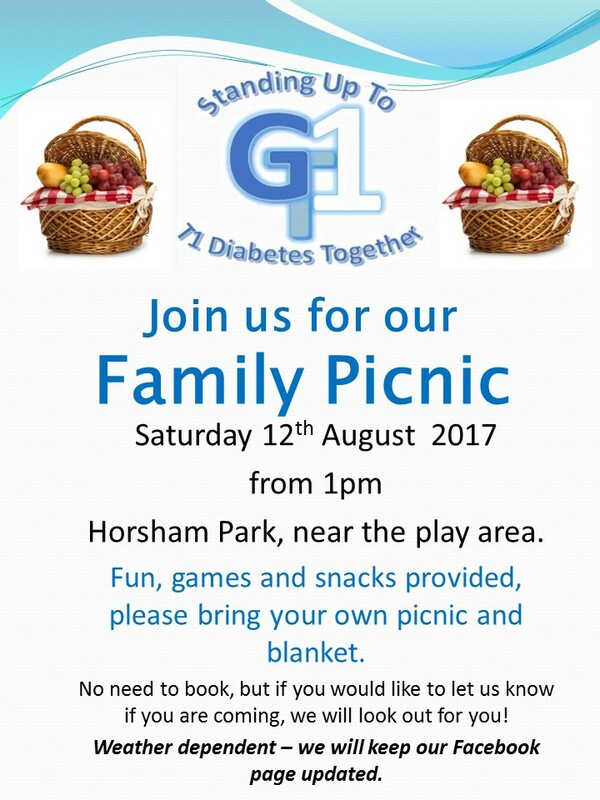 It will be on Saturday 12th August in Horsham Park. There will be games available and some snacks. Please bring your own picnic and a blanket! 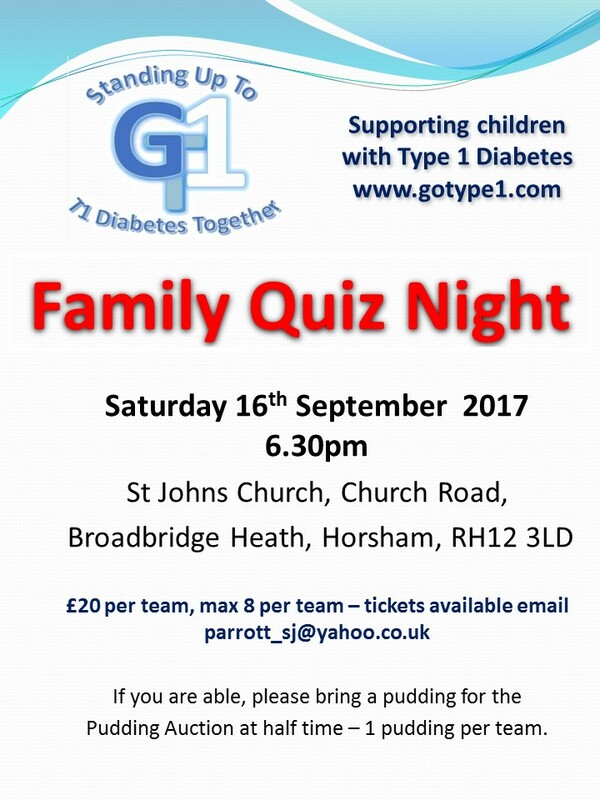 We also have our second family QUIZ coming up, on September 16th! It was fantastic fun last year and completely sold out, so book your table quickly!! Have a very happy summer holiday!